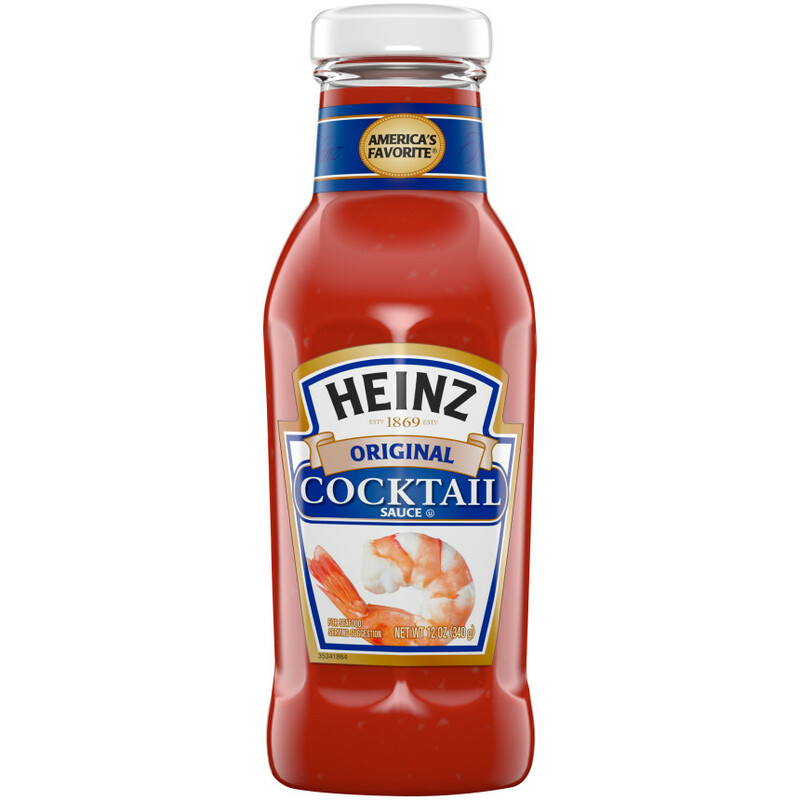 With the highest quality ingredients and ideal blend of spices, Heinz Cocktail Sauce has the premium taste that's the perfect complement for your shrimp. 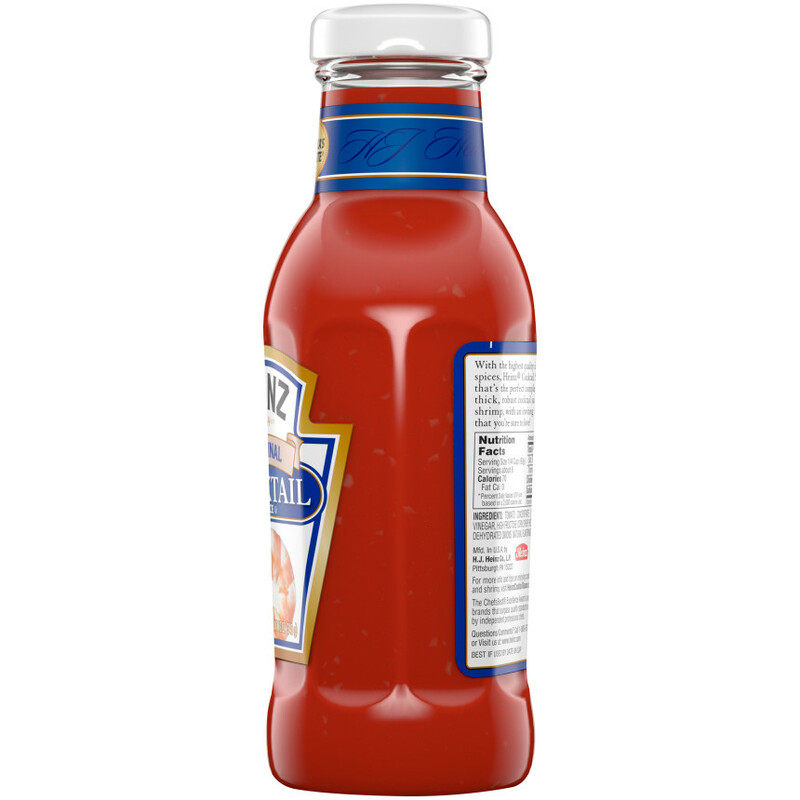 Our thick, robust cocktail sauce clings perfectly to your shrimp, with an inviting aroma and a delicious flavor that you're sure to love! 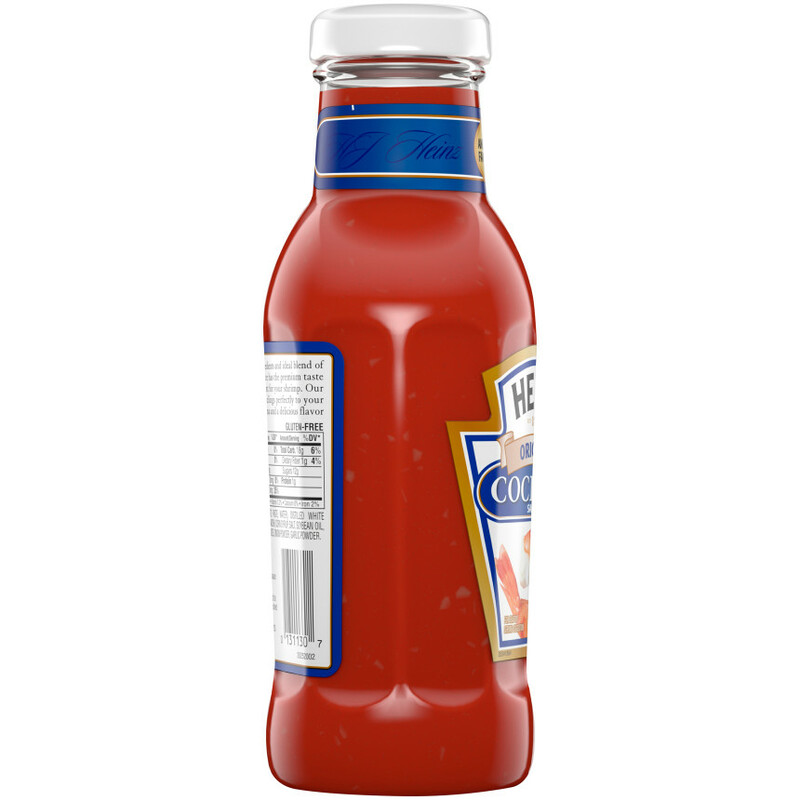 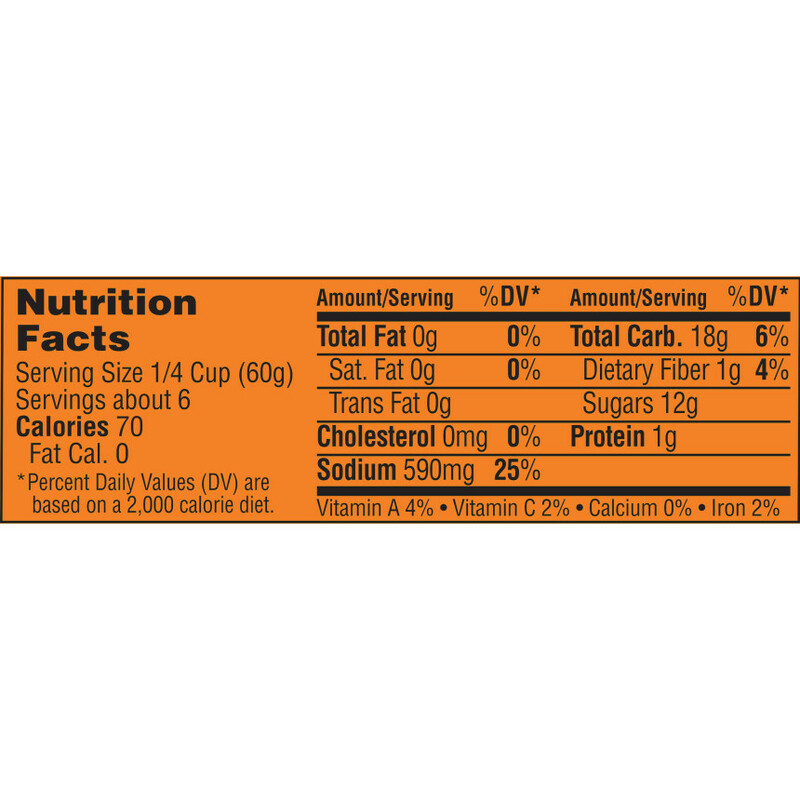 TOMATO CONCENTRATE (TOMATO PASTE, WATER), DISTILLED WHITE VINEGAR, HIGH FRUCTOSE CORN SYRUP, HORSERADISH, CORN SYRUP, SALT, SOYBEAN OIL, DEHYDRATED ONIONS, NATURAL FLAVORINGS, SPICES, ONION POWDER, GARLIC POWDER.